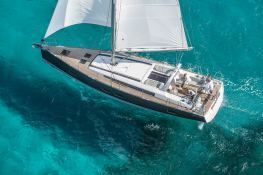 The Oceanis 55 is probably the biggest sailboat to rent without crew in Greece, whether in the Cyclades or Ionian Sea, this wonder of the sea will fill you with its space, its equipment and its performance. 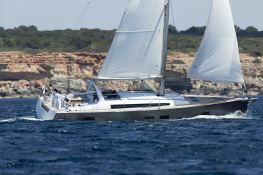 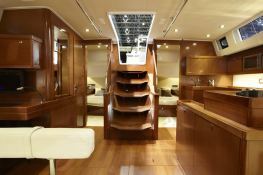 Beneteau's Oceanis 55 sailing yacht hosts up to 12 passengers and its skipper comfortably. 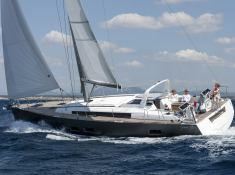 Sailing in Athens Alimos, Athens Lavrion, Corfu, Kos, Lefkada and Skiathos, she is fully equipped with air conditioning, bow thruster, equipped galley, generator and also CD and DVD for leisure. 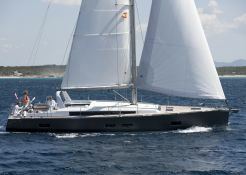 This skippered sailing yacht is available for yacht charter with a base price of 6 700 € (approximatly 7 556 $).